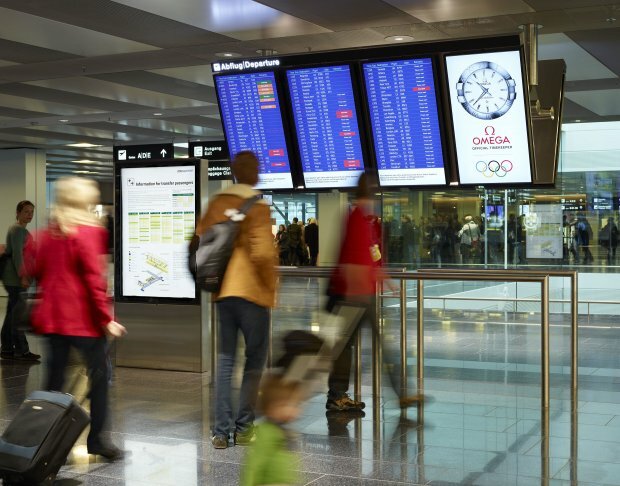 In 2016, 27.7 million passengers passed through Zurich Airport, corresponding to an increase of 5.3%. The number of flight movements was 1.5% higher than in 2015. Higher seating capacity owing to the use of larger aircraft resulted in lower utilisation (change -1.3%). In 2016, Zurich Airport was host to a total of 27,666,428 passengers, representing a year-on-year increase of 5.3%. The number of local passengers rose in 2016 by 6.5% to 20 million. Despite a decrease in the proportion of transfer passengers from 28.5% in 2015 to 27.6% in 2016, the number of transfer passengers at Zurich Airport went up by 2.3% to 7.6 million. The average number of passengers per flight rose from 113.7 to 117.2. Whereas the seating capacity to and from Zurich went up by 6.6%, aircraft occupancy declined by 1.3% in 2016 to 75.8%. Overall, there were 269,160 flight movements at Zurich Airport in 2016, corresponding to an increase of 1.5% compared with the previous year's figure. Swiss International Air Lines’ share of air traffic amounted to 54.2%, followed by Air Berlin (6.5%), Edelweiss Air (4.2%), Eurowings (3.0%) and British Airways (2.6%). There was an increase in freight volume of 5.3% in 2016 compared with 2015. During the year under review, a total of 433,577 tonnes of freight were transported. Local passengers increased by 9.3% and transfer passengers by 14.1%. The transfer rate which was at 29.2% last December is at 30.1% in the month under review.